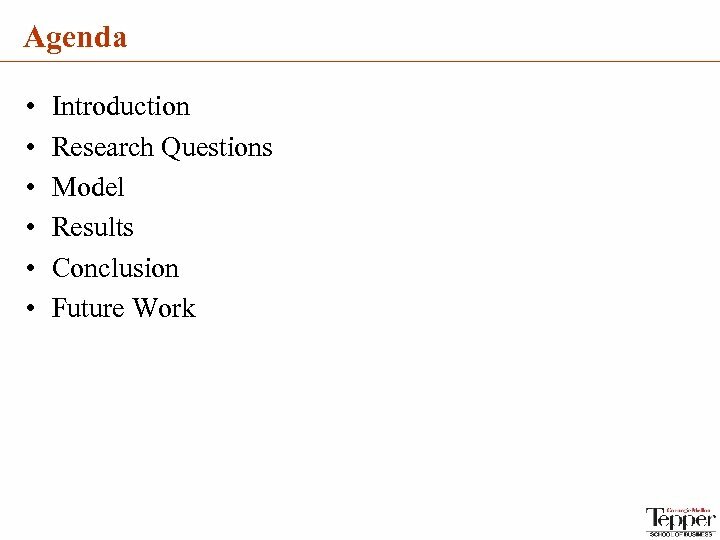 Research Questions • What is the economic implication of risk-sharing mechanism in various scenarios? 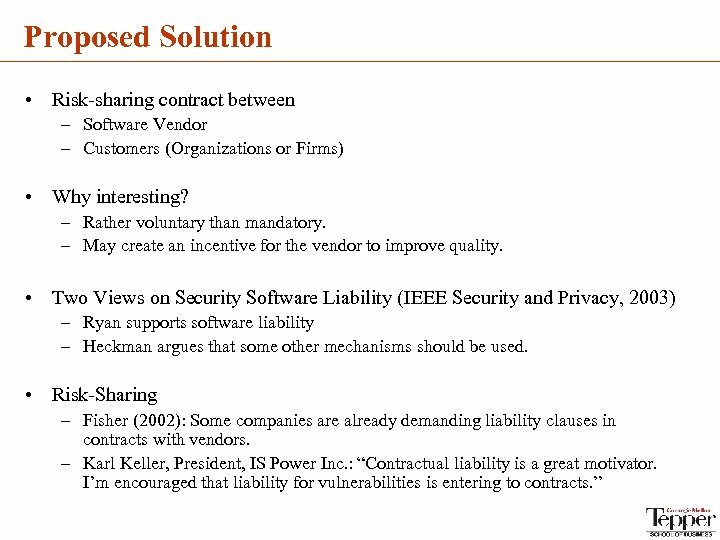 • How does risk-sharing affect vendor’s decision on quality? • Do the software vendors have any incentive to share the risk with their customers? If so, how much? • Is government’s subsidizing policy effective in terms of quality improvement? • How about government’s regulation on risk-sharing? 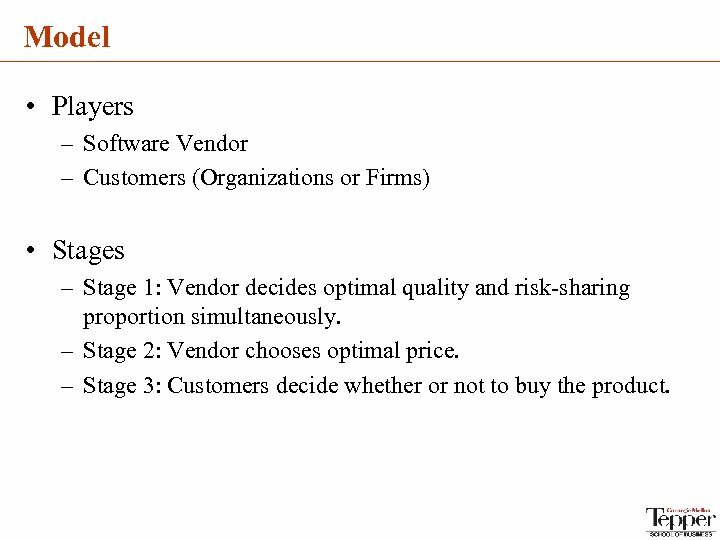 Model • Players – Software Vendor – Customers (Organizations or Firms) • Stages – Stage 1: Vendor decides optimal quality and risk-sharing proportion simultaneously. – Stage 2: Vendor chooses optimal price. – Stage 3: Customers decide whether or not to buy the product. 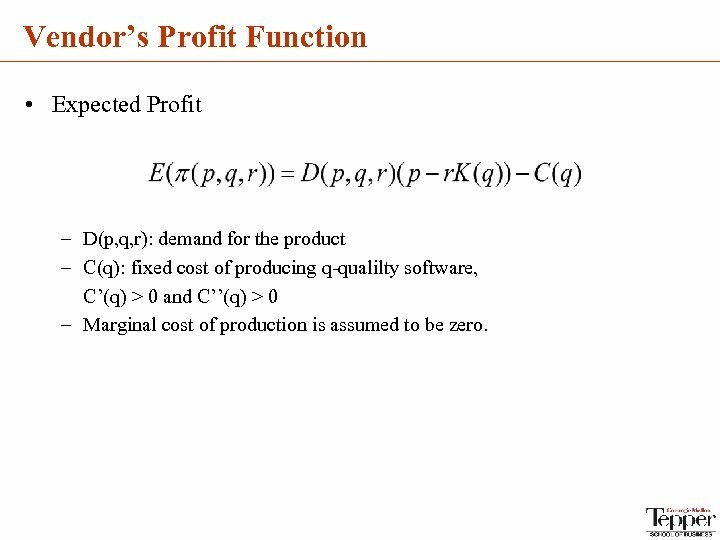 Vendor’s Profit Function • Expected Profit – D(p, q, r): demand for the product – C(q): fixed cost of producing q-qualilty software, C’(q) > 0 and C’’(q) > 0 – Marginal cost of production is assumed to be zero. 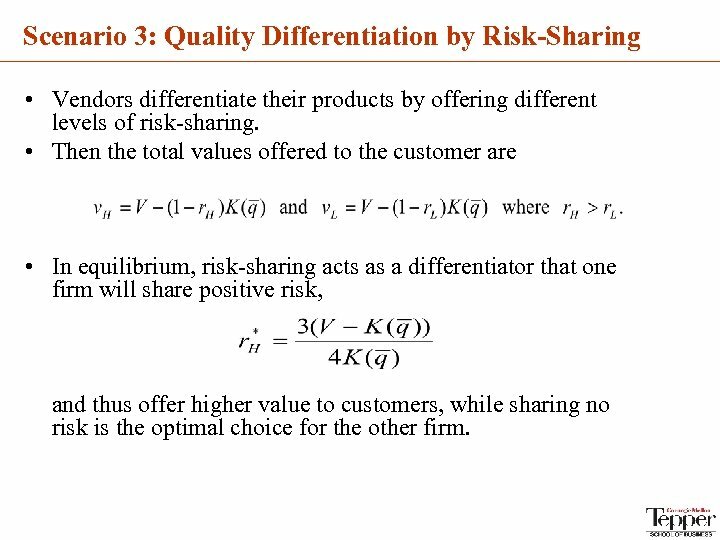 Scenario 3: Quality Differentiation by Risk-Sharing • Vendors differentiate their products by offering different levels of risk-sharing. 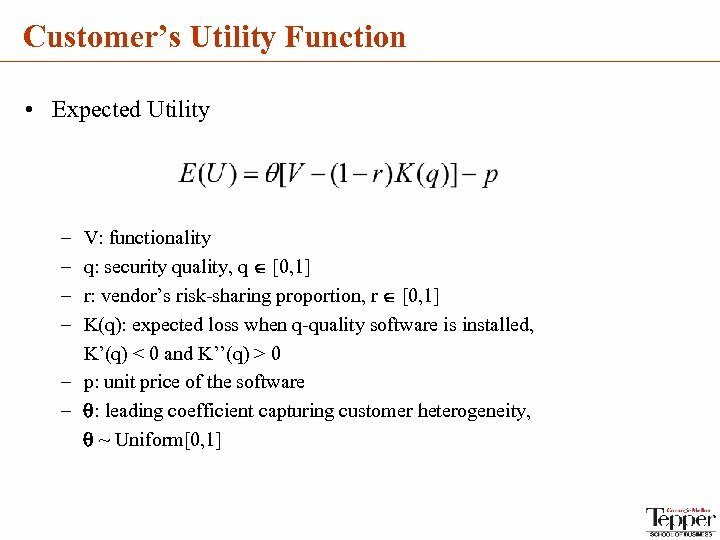 • Then the total values offered to the customer are • In equilibrium, risk-sharing acts as a differentiator that one firm will share positive risk, and thus offer higher value to customers, while sharing no risk is the optimal choice for the other firm. 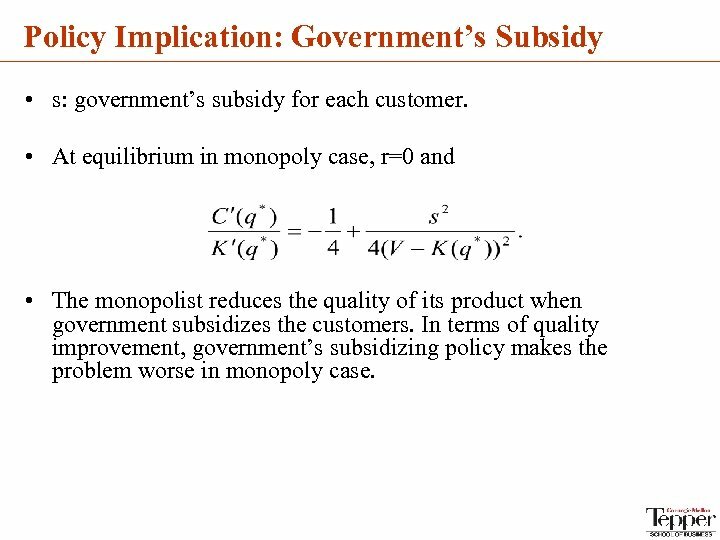 Policy Implication: Government’s Subsidy • s: government’s subsidy for each customer. 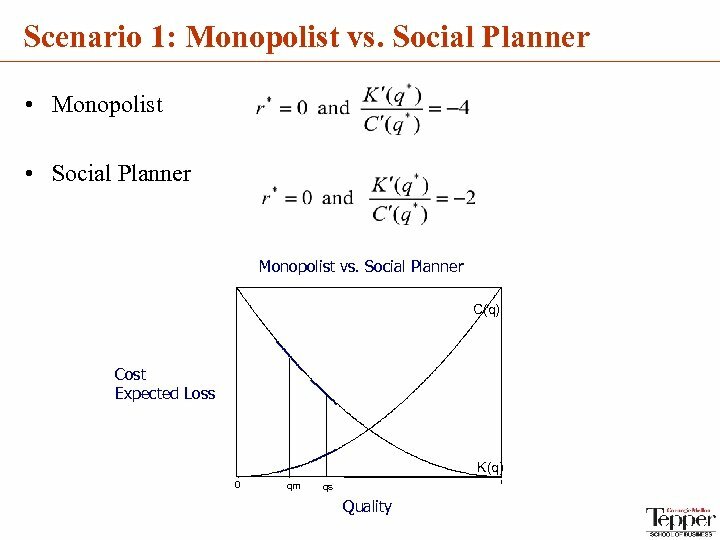 • At equilibrium in monopoly case, r=0 and • The monopolist reduces the quality of its product when government subsidizes the customers. In terms of quality improvement, government’s subsidizing policy makes the problem worse in monopoly case. 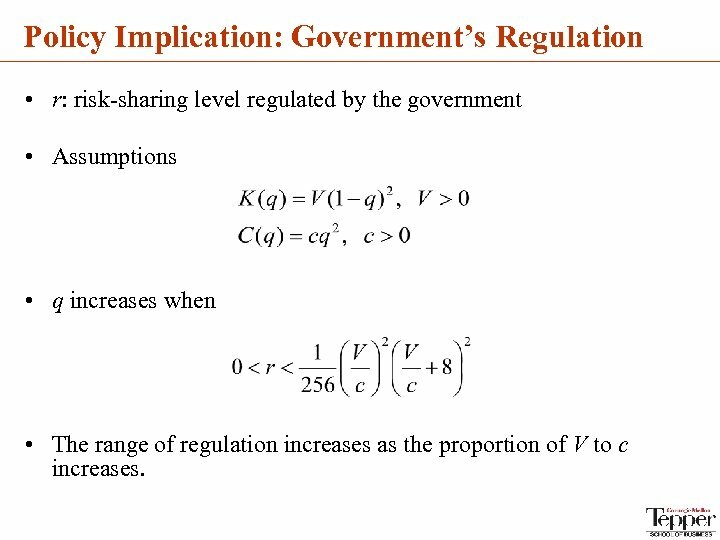 Policy Implication: Government’s Regulation • r: risk-sharing level regulated by the government • Assumptions • q increases when • The range of regulation increases as the proportion of V to c increases. 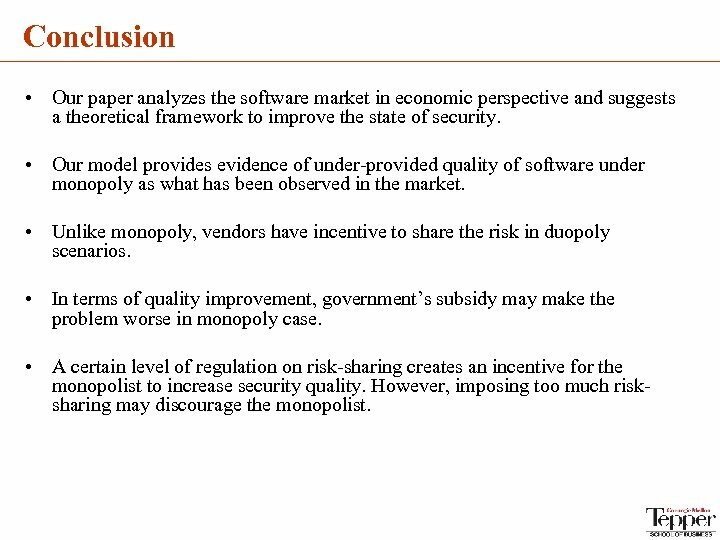 Conclusion • Our paper analyzes the software market in economic perspective and suggests a theoretical framework to improve the state of security. • Our model provides evidence of under-provided quality of software under monopoly as what has been observed in the market. • Unlike monopoly, vendors have incentive to share the risk in duopoly scenarios. • In terms of quality improvement, government’s subsidy make the problem worse in monopoly case. 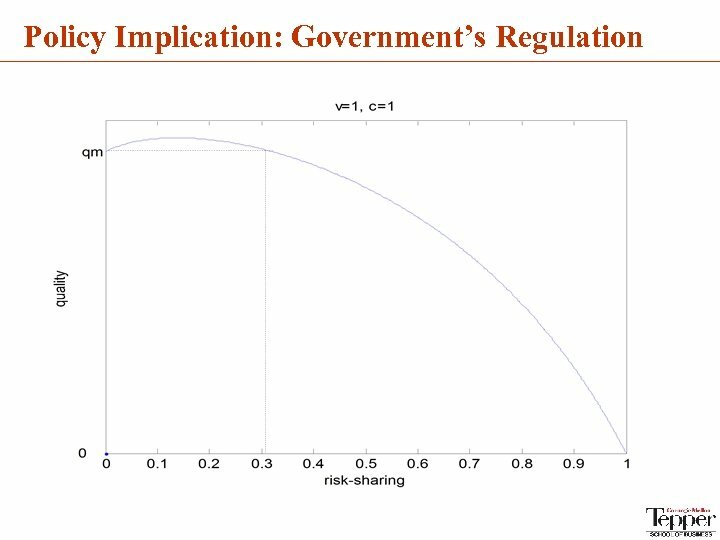 • A certain level of regulation on risk-sharing creates an incentive for the monopolist to increase security quality. 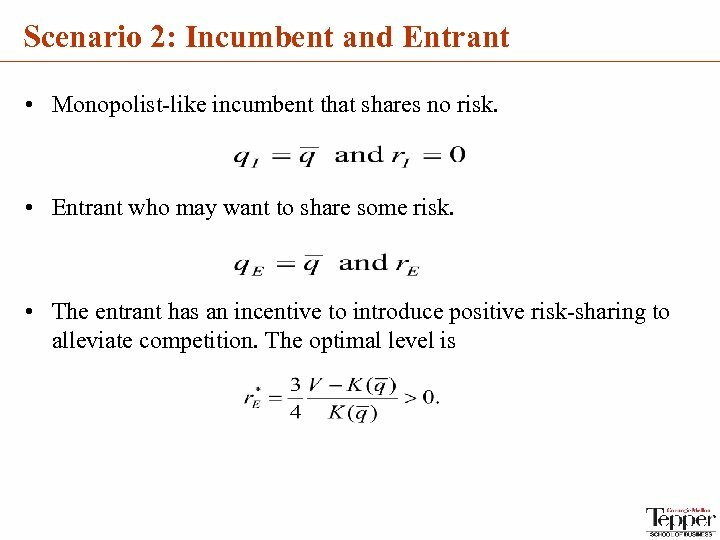 However, imposing too much risksharing may discourage the monopolist. 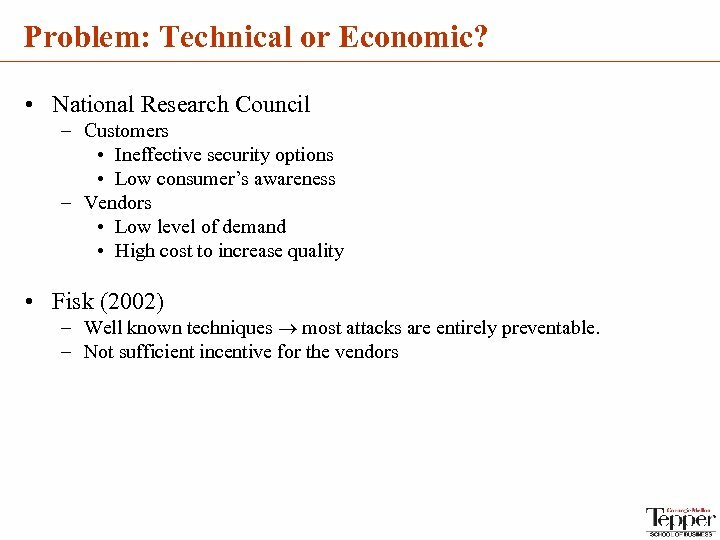 Future Work • Consider network externalities, and endogenize probability of successful attack. • Consider more flexible contract structure. • Compare the risk-sharing mechanism to other proposed solutions by researchers and practitioners, such as legal liability and cyberinsurance.